Next week I am giving a talk at Red Hat Summit 2017 in Boston. Its a talk how to get started as a Java developer to build Java based microserves that runs on Kubernetes or OpenShift. Its a talk that is a mix between slides and live demo where its all coded and running locally on my old laptop. I am using three of my favorite Java stack with Apache Camel, Spring Boot, and WildFly Swarm in the demos. The talk is on Tuesday May 2nd before lunch, eg 11:30 to 12:15pm so you can come and bild up an appetite. On Wednesday from 3-5pm I am on boot duty at the Red Hat Community Central, so that's a chance for you to come find me and have a chat. I am actually not aware where that is located, but I would assume its in the exhibition hall. I will be in Boston all week and attend Summit from Tuesday till Thursday. On Friday evening I am flying back home. I have started running for the last year or so, so I am also signed up for the 5km Summit run which happens at 6 am on Wednesday. In my time zone that would be noon so I am up and awake already. There is a number of other talks that I plan to attend. For example Rajith's talk with TD Bank where they talk how they are using Camel. I love to hear about what the real world does with Camel and Red Hat summit is a conference where also the customer stories are present. 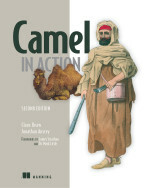 There is also the stuff I have been worked on lately a new product iPaaS that uses Camel under the hood. I am really looking forward to Keith and Hiram presenting this. Christian Posta is always an inspiration. I always learn something when he give talks about microservices. He is out there in the field and see first hand what our customers want to do, and what they are doing/can do. I have formerly worked in the health care industry and have a chance to hear Quinn Stevenson's talk. Quinn has been fantastic in the Camel community where he has contributed code patches, components and help Camel work better with OSGi and HL7. I don't want to miss the chance to hear about how to migrate a monolith 10 year old system to a modern microservice based with Camel, Vert.X, and other cool technologies. There are more talks about Camel that I will try to attend. There are 12 sessions listed in the Red Hat Summit agenda. If you are attending Red Hat Summit. Then I hope we get a chance to meet and say hi. I love the hallway conversations at conferences and also to hear the good, bad, and ugly. Apache Camel is not perfect, likely far from it. But its adaptive and very flexible, and we have a very active, vibrant and open community.